The Pacific Northwest has seen its fair share of brutal winter storms, and when the temperatures dip below freezing the last thing you want is to be stuck because of mounting snow and ice. Crowley Landscape Management offers commercial snow and ice removal services to businesses in and around the Portland Metro area. There is nothing more frustrating than seeing a dip in your sales due to inclement weather, especially from snow and ice. Crowley Landscape Management knows how important it is to maintain curb appeal and overall safety throughout the year, especially in the winter. Snow and ice can wreak havoc with your parking lots and sidewalks. Customers may also avoid certain businesses if they haven’t been treated to prevent accidents and injuries. 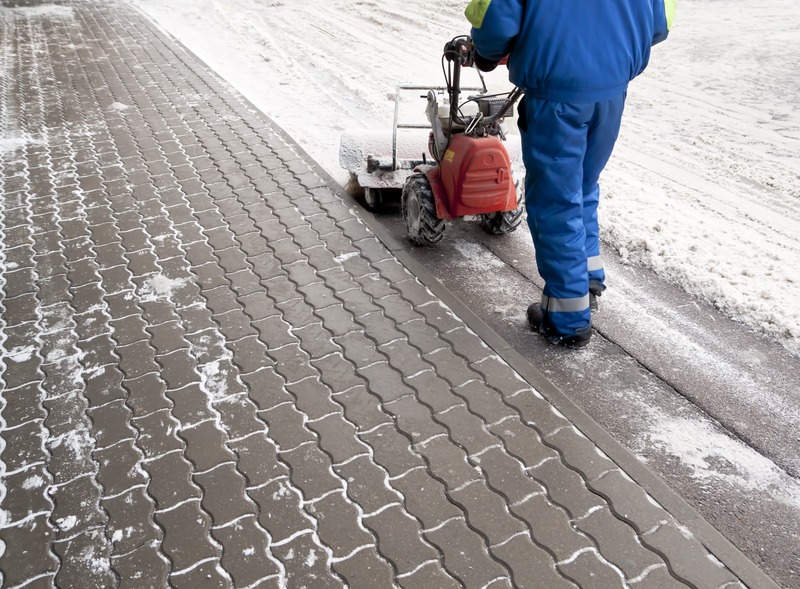 Commercial snow and ice removal may seem like an extra expense that can be ignored, but the last thing you want is to have you, your employees, or even a customer injured because of accumulated snow or ice. 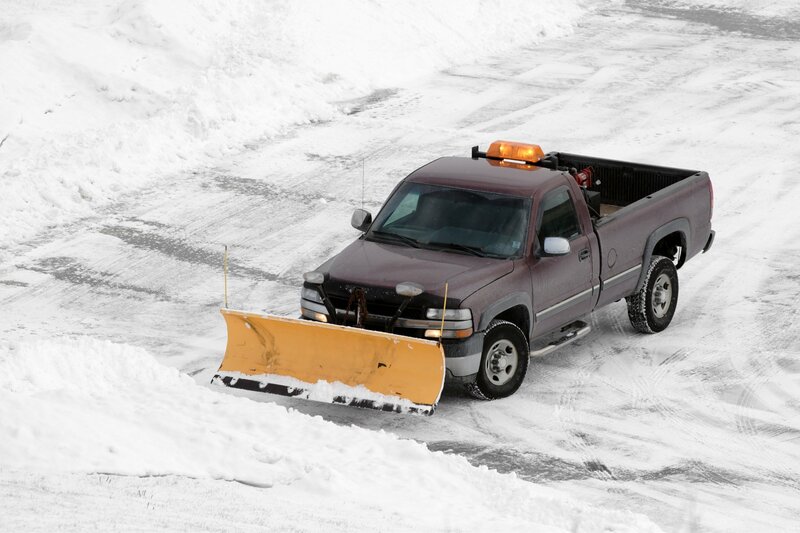 With our commercial snow removal services, you’ll have peace of mind that your business won’t be impacted by snow or ice this winter. We know your hours of operation vary. When you sign up for our snow and ice removal services (sign up early! ), you can choose from: automatic, where our crews will deploy when the storm hits, or call-in, which does require approval from our team. Our removal services are available Monday through Friday, or by special agreement. We do not provide service on holidays. We have our crews on-call 24/7 during inclement weather. Please note: on-call emergency snow and ice removal is available to those who signed up early and depends on the severity of the weather event. Parking lot plowing is available for all sizes of parking lots. Whether your business requires a tractor/small loader, a backhoe, or a W-24 large loader, we have the right machine for your plow needs. 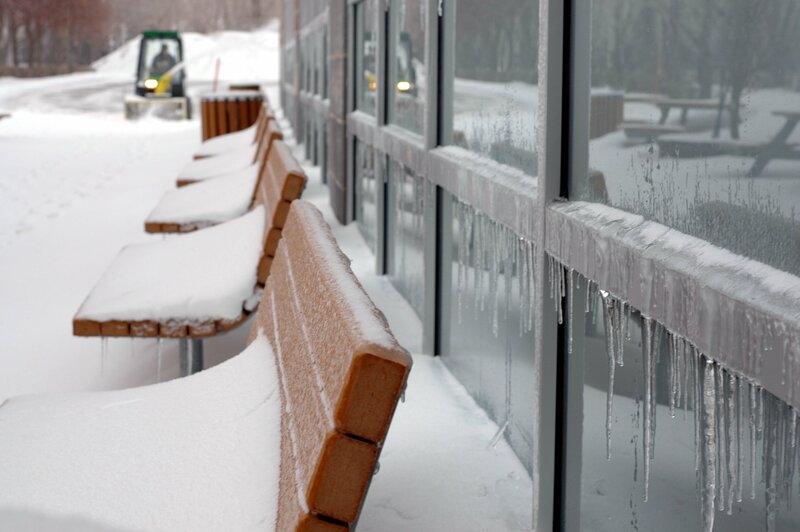 Don’t let your business become a victim of snow and ice this winter. Contact Crowley Landscape Management by phone, (503) 682-3090 to discuss commercial snow and ice removal for your commercial property this winter! "Tim is honest and pays attention to the smallest details. The whole team is 100% on your side and makes sure to not leave any rock or dirt out of place." "So happy with Crowley Landscape Management. They have transformed our tired yard into a jewel. Tim Crowley and team are easy to work with, provide the highest quality and excellent customer service." "They did such a phenomenal job that I called their manager to provide a glowing review after the fact. I was blown away. Can't wait to have them back!" "They faithfully come every other week ... It is a very reliable, reputable company... They never miss a date and always come when they are supposed to... It always looks neat and clean when they leave. They do everything so you don't have to worry about your property anymore with the way they handle it." "I'm so happy with the work from the Crowley Landscape Management team. The team completed what would have taken me months in a matter of days.Can't wait to work with them again on future projects!" "Crowley Landscape management did such a good job that we have hired them to do regular yard maintenance. They are thorough and prompt." "Clear communication from office, no surprises , on time and the best crews and customer service u can ask for. Cleaned up weeds trimmed neglected roses. Cleaned up shrubbery in back yard! Looks went from scary to inviting. Thank you Crowley landscape service." "Crowley Landscape management is a very professional company. Management and crew alike were all professional and a pleasure to work with. They are a very organized, prompt and friendly group. The project came out better than we had hoped for. We would not hesitate to use them again and are planning on using Crowley for our weekly maintenance program. If you want the best call Crowley."